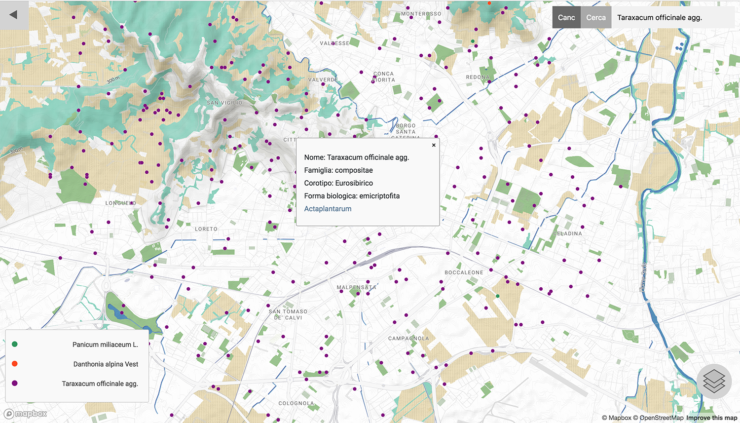 The goal of the project is to give a new shape to a research that the Flora Alpina Bergamasca association has conducted on the spontaneous flora of the city of Bergamo, in which more than 50,000 specimens of plants and flowers have been cataloged and geo-referenced. 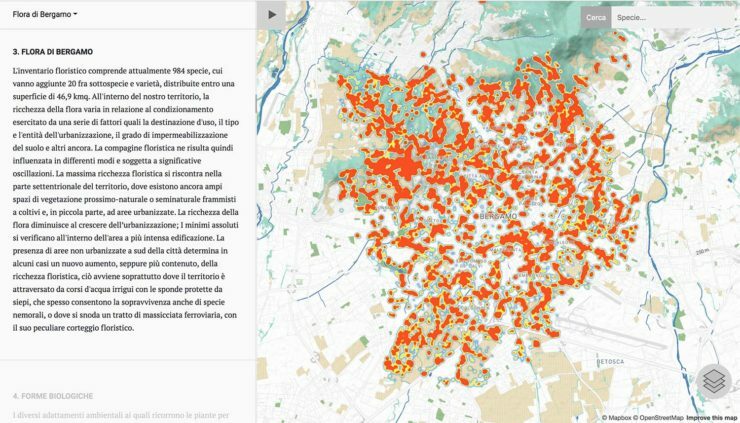 The result of the research was published in a book that presents a small distribution map for each species as well as a thorough theoretical introduction to the geological and botanical quality of the area of Bergamo. My project stems from the desire to overcome the limits presented by the disclosure of this research in the form of a book and to re-propose a part of it through a digital medium, so as to make it possible: the interaction, updating and dissemination of data. In particular, the aim was to design an interactive map that would not only be able to show research data easily and intuitively, but would also make it possible for inexperienced users to be introduced in a narrative way to the geobotanical characteristics of the territory. 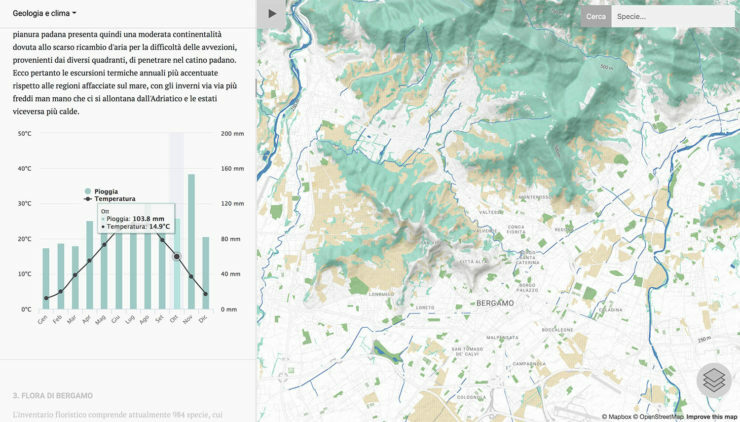 With this project I wanted to explore the possibilities of integrating data visualizations with textual narration in the field of digital cartography.